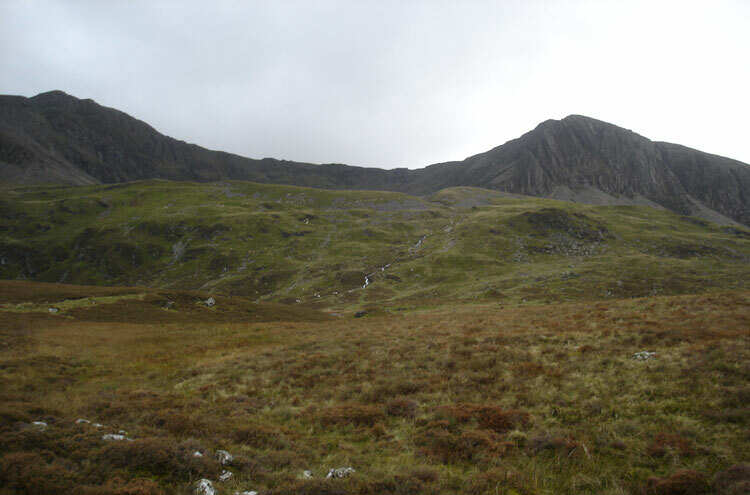 One of Wales' favourite walks, an at times steep climb of the highest mountain in the Dollgellau area on north-mid Welsh coast. Beautiful landscape all the way, with huge views from the summit, taking in the whole sweep of Cardigan bay on a good day. Varying vegetation zones as you climb, from woods and hill farmland at the bottom to sub-Arctic at the top. Come prepared for unpredictable mountain weather any time of year. 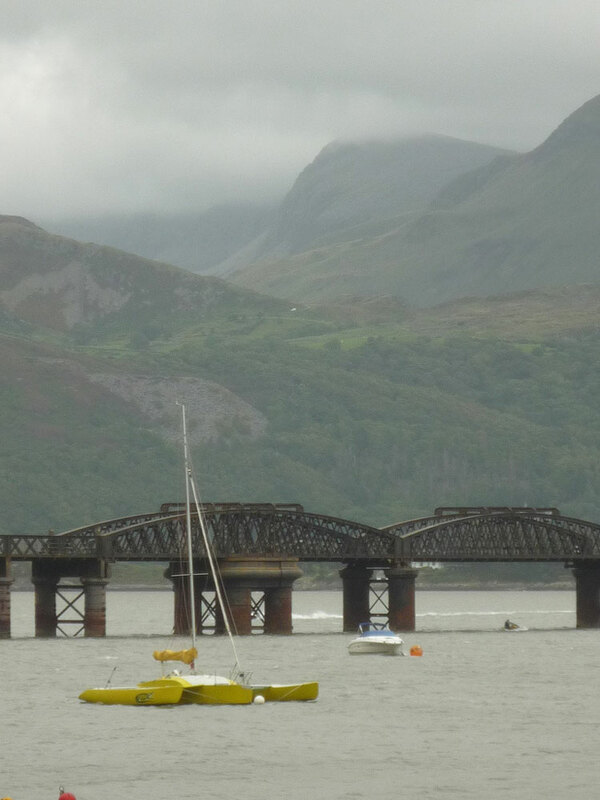 Cadair Idris, often spelt and pronounced Cader Idris, looms grandly above the beautiful Mwddach Estuary in north Wales. 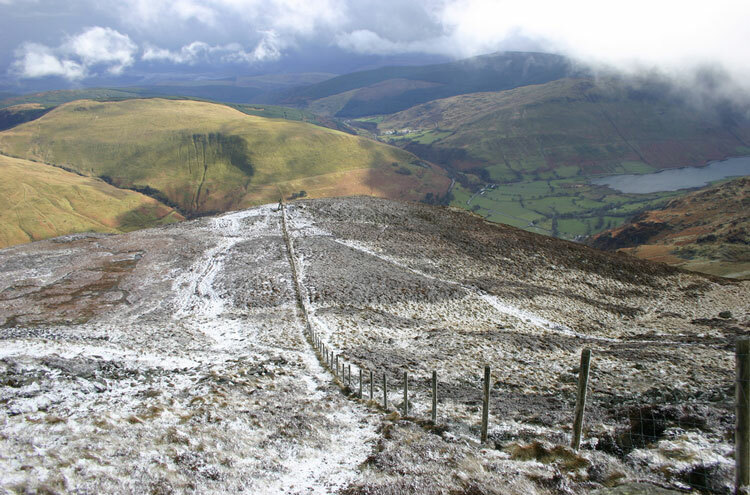 At 893m ( ft), it would not quite count as a Munro in Scotland, but it is easy to see why it is one of Wales’ most-loved mountains. From any direction, you will climb through a variety of ecosystems (woodland, sheep pasture, moorland and rough mountain slopes, with Alpine/Arctic ridgetop conditions and areas of tough bare rock), gaining increasingly dramatic views back over estuary and valley and receding mountain ridges, with the huge sweep of Cardigan Bay to the west, both the [Abersoch] Peninsula to the north and the extremities of the St David’s Peninsula to the South in plain view. 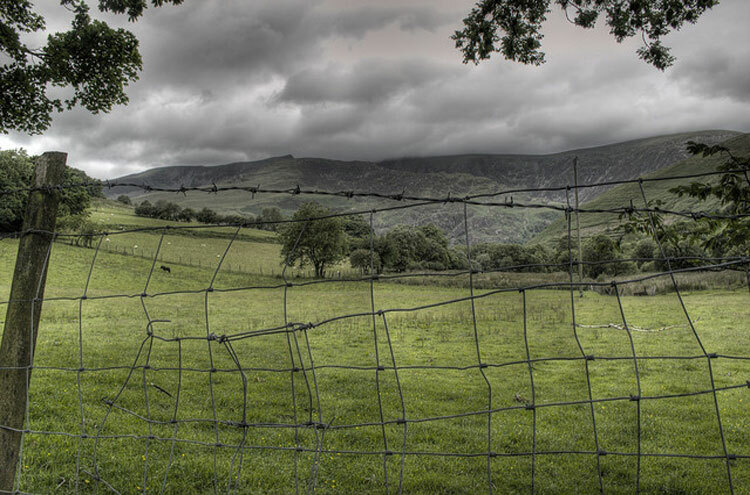 The views across the rough lower reaches to the north, with the Mawddach Estuary below, are very special, as is the Dysynni Valley to the south-west. Sitting in a patch of grass at the lip of the cliff-line on a sunny day is magical. 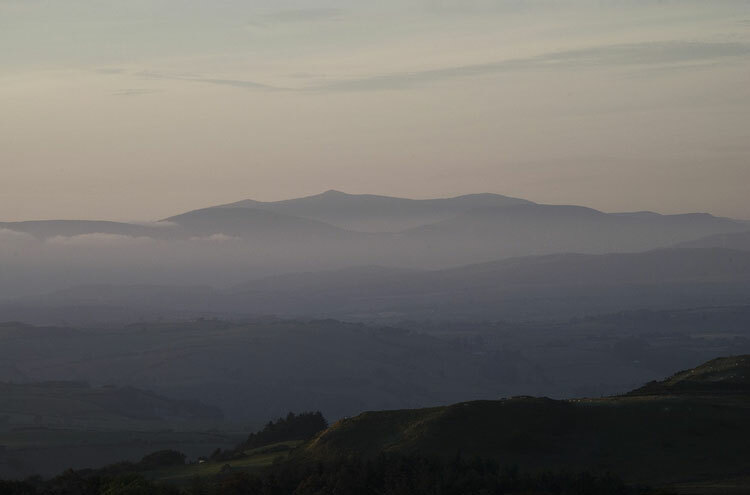 As the highest point for miles around, the summit commands suitably stunning 360[o] views. The cliff-lined high ridge of this great massif is more than 11km (7 miles) long, a vast lump of hard Ordovician igneous rock which has withstood the attack of the ice ages better than the surrounding land. Viewed from the coast at Fairbourne, the thousand-foot shearing-off of the great northern face is shockingly apparent. The ice cap must have been many thousands of feet deep to manage this. 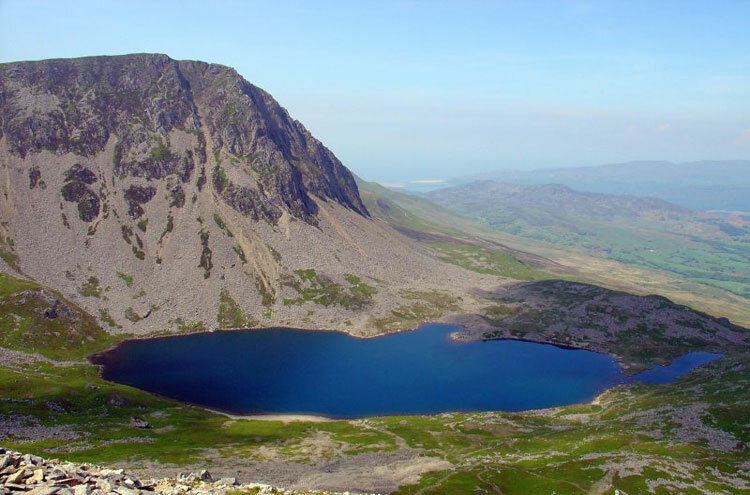 The whole area is textbook glacial, and none more than Cader itself, with its lake-filled cwms (cirques), carved and striated rock faces, moraine piles and roches moutonnees (hard rocks which have been scraped smooth and are so called because their shiny surfaces can resemble sheep from a distance). 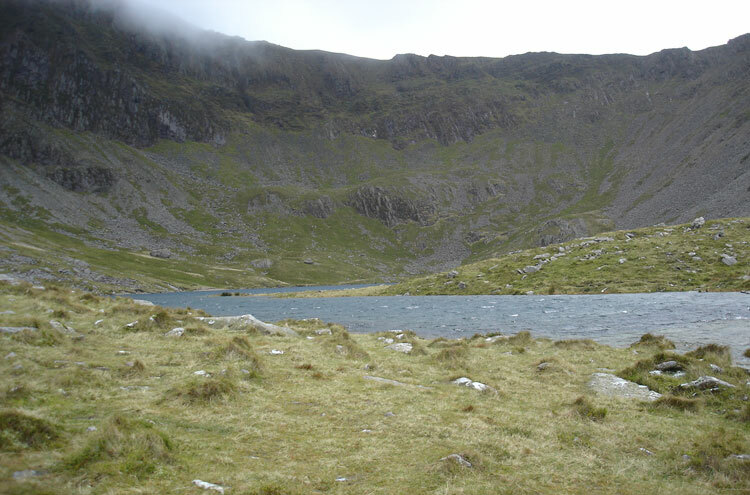 The crater-like shape of the LLyn Cau cirque has generated theories that Cader is an ancient volcano. 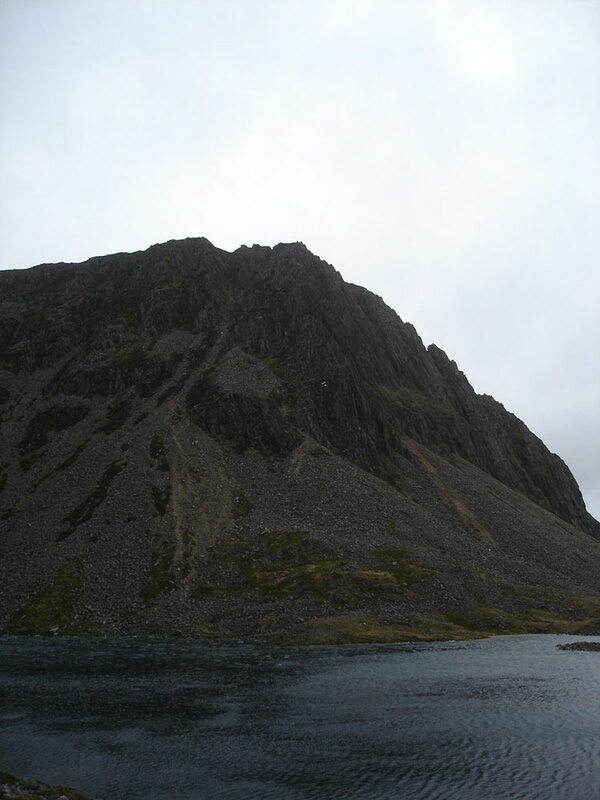 There are various stories associated with Cader, the main one being that its grand northern cwm was the seat (Cadair means chair in Welsh) of the giant Idris, who watched the stars from it. Alternatively it may refer to an eponymous C7 prince who won a battle here. A person who sleeps here alone is said to awaken mad or a poet – or indeed not awaken at all. 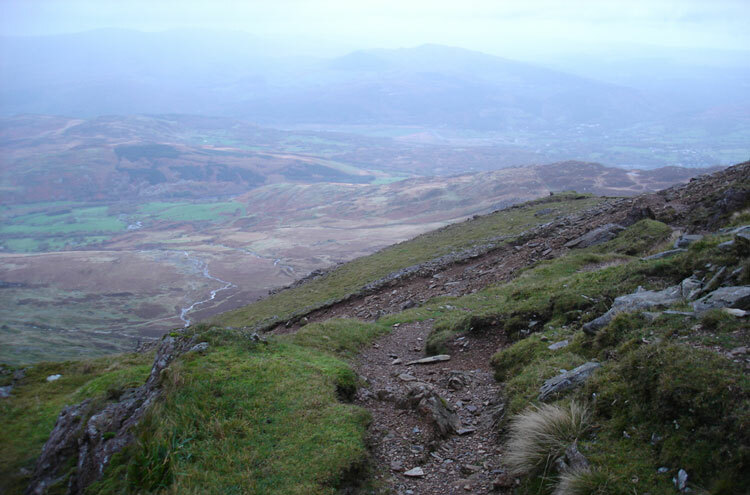 - the Pony Path from the north, the easiest way up, via the saddle with Craig Las to the west. 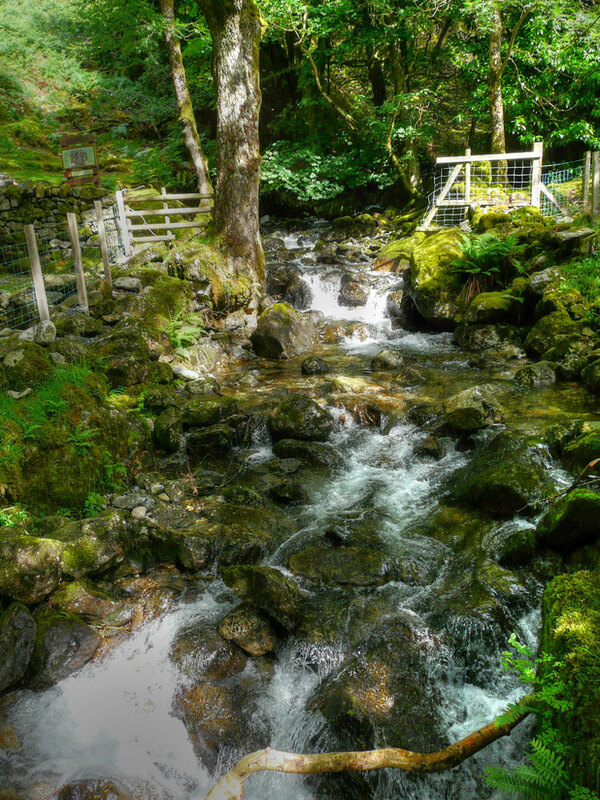 Some 5km each way, should take a couple of hours up. It has suffered erosion due to its popularity, so don’t be disappointed by the stretches of laid stone and gravelled path. They are necessary. 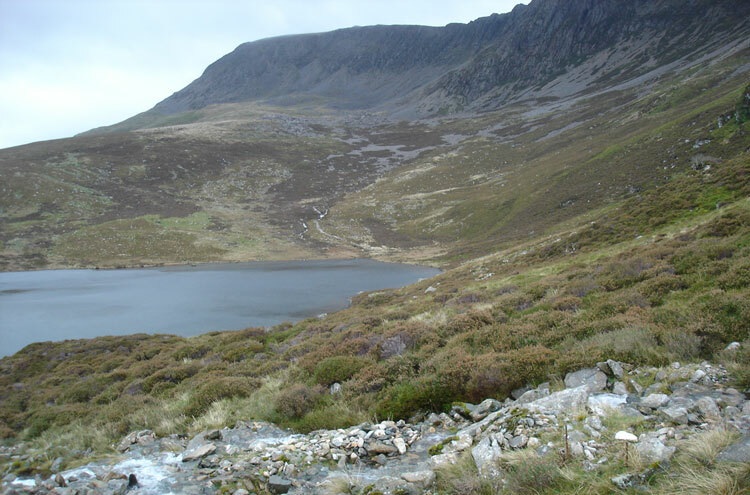 - the Fox’s Path (also from the north), a lovely walk up to the Llyn-y-Gadair lake in the heart of the great cwm, then a tiring and dreary slog on steep scree up to near the peak. Took Walkopedia 2.5 hrs, the fit and keen should be able to do it in 2 hrs-ish. 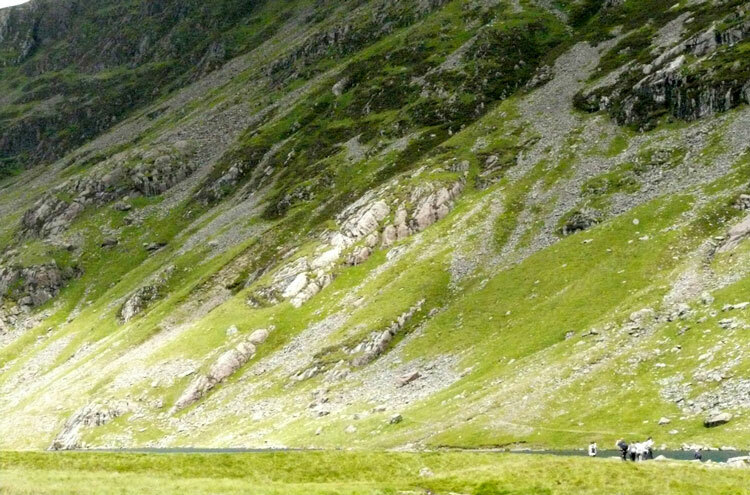 A tough descent, only for the very experienced. 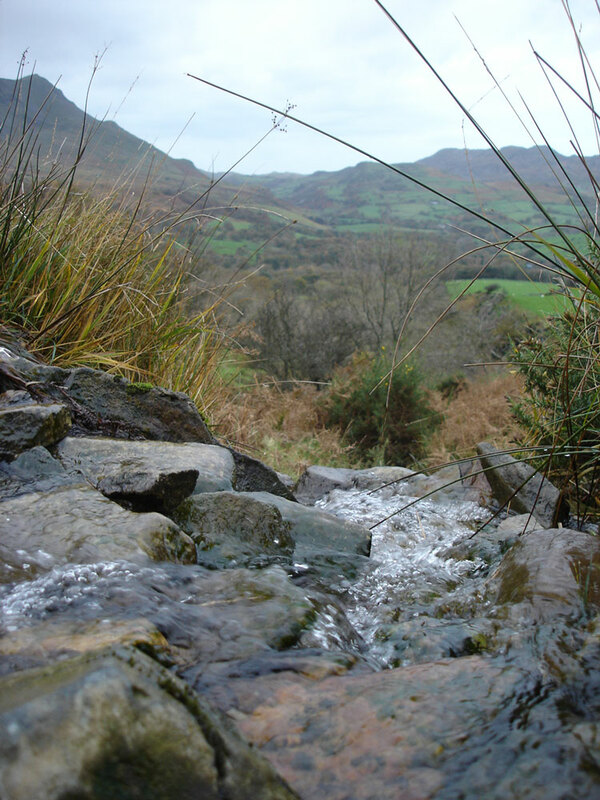 - the Minffordd Path, from the South: the longest and loveliest path, it skirts the rim of the perfect Llyn Gau cwm, so encircled it has been mistaken for an extinct volcano. Walkopedia climbed the Fox’s Path then descended the Pony Path. It would be wonderful to walk across the mountain, although you would need to sort transport. With a variety of walking options once on top, don’t just think of an up-and-down climb. A long yomp along the flat, generally grassy ridge, west to Craig Las or eastward, would be a superb add-on, although there are few descent options nearby, so you may well need to make a return walk of it back to the top of you Pony or Minffordd Paths. From the carpark at the base of the Pony Path, it is some 2,400ft to the top. Felt the same breeze blow. On the hills I see. Shares that hour with me.